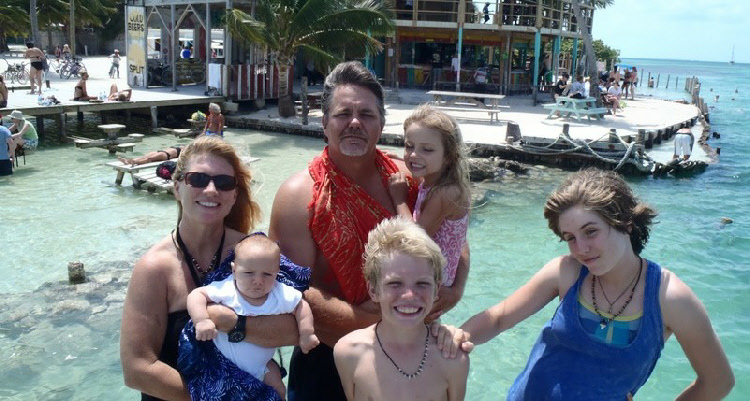 This entry was posted in Belize, Belize Adventure, Ex Military in Belize, Ex Pats in Belize, Land in Belize, Living in Belize, Property in Belize, real estate in belize, San Ignacio, Belize, Travel Belize, Uncategorized and tagged Americans in Belize, Barton Creek Belize, Barton Creek Outpost, Belize, business in belize, expats in Belize, for sale by owner in belize, homes for sale in belize, Living in Belize, Moving to Belize, property in belize, real estate in belize, San Ignacio Belize. Bookmark the permalink. Hi Jim, I was reading your blog and am sorry to hear you are leaving the Outpost, I took a look at your Resume (because I know a lot of people that might be able to assist you) and noticed a picture opened up under it (like a sheet of paper) that made seeing your resume completely impossible, I would consider lightening up the picture if you want to keep it, or removing it altogether so you can stick with the business end of what a resume is. Hope you don’t mind a little Ad Min, help, but this is what I do. You’re not coming home to the same place. I’d encourage you to reconsider! We are currently looking at leaving the USA and moving to belize. I have really enjoyed the honesty of your posts! Thank you for your comment but we are not going back for the place but the people. If you are looking to leave the US for a better political situation then Belize is not the answer. There are good reasons to move to Belize but to be ruled by a more fair and efficient government is not one fo them! You are in for a very rude shock in Belize if that is the case. Not at all. We’ve done lots of research and realize there are lots of reasons not to move to Belize. We don’t believe we’ve arrived at our decision lightly. But we really believe it’s where God is asking us to move to. We want to do mission work and live a self sufficient lifestyle on a small farm. It’s getting close to rediculous here to do anything that allows you not to depend on the govt. So in that aspect Belize sounds perfect to us, we don’t need a pefectly functioning govt. I wish you guys all the best and pray for your safe return to home! I am starting to read your blog because we are planning to move to Belize, full time.. We did a lot and a lot of research went to Belize. But I was wondering if you could explain more what you mean concerning your comment above please. I know they might be corruption in the government as they are in all government but would appreciate a bit more insight please. And good luck in your plan. Government officials are rampantly, and often overtly, corrupt, period. There may be exceptions but they are exceptions. Every single person who has lived in Belize longer than a year knows it. Carry it all with you as your life has been enriched by it, challenges & all . PleaSe do write the book you carry in your heart ! God Bless your family’s continuing journey !!! Hey Jim, I know how much you love the outpost and how sad it must be to leave. But of course being with your parents is a good reason to move. I wish you the best and say hi to everyone for me. I am going to Belize next year and was looking forward to going to the outpost. I am bummed you have sold abut I wish you all the best…….. Do you know if the new owners have a website? The Outpost is a private facility now, they don’t have a website.